If you’re a New York resident who has decided it is time to legally end your marriage, you’ll need to understand the basics of New York law and divorce. In order to file for divorce in New York, you must satisfy the residency requirements and have a “ground” (a legally acceptable reason) to end your marriage. 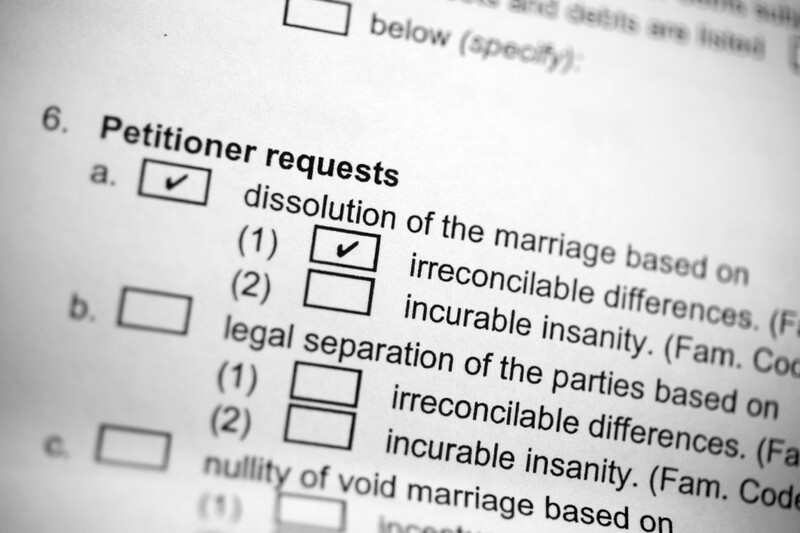 “Irreconcilable differences” is not considered a valid ground for divorce in New York. Click here to read the residency requirements and legal grounds in more detail. After one spouse has filed the Petition of Divorce, the court serves the other spouse with paperwork. If you and your spouse agree on how your property and debt should be divided, how any child support should be structured, and how any child custody arrangements should be handled, you will not have to go to trial to finalize your divorce. If these issues need to be decided by the court, a hearing is scheduled. The court also may rule on temporary custody arrangements and temporary child support for any children involved in the divorce, as well as temporary responsibility for community—or joint—debts, before the divorce is finalized. Alimony: A New York court will award alimony, or spousal support, based on factors including how long you have been married, the monetary resources and needs of each spouse, and the amount for which each spouse is financially responsible. Property: New York is a “equitable distribution” state, so both spouses jointly own property acquired during a marriage. Child custody and visitation: For divorces filed in New York, the courts attempt to base custody and visitation decisions on the child’s best interests. Child support: The amount a parent pays for child support in New York ranges from 17 percent to 35 percent of his or her net income and other financial resources, based on the number of children in the family. Navigating the divorce process is never easy—especially in a state such as New York. An attorney at the Law Offices of Jacoby & Jacoby will guide you through the ins and outs of divorce in New York to make the road smoother and help you achieve the outcome you desire.